usage ice cream kiosk in mall or shopping mall. Logo Acrylic Logo or Light box with your Logo. Design free for you, make design about need three days. production time about 18-22 work days. payment T/T, W/U, 50%deposit. 50%balance before shipping. packing this ice cream kiosk + foam inside + wooden box outside. This is a food kiosk. 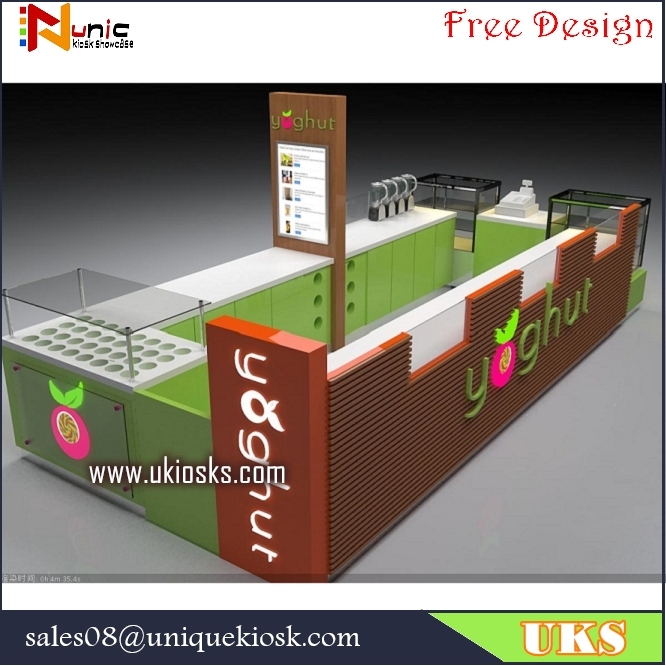 mainly material is plywood, size is 5m by 3m, can sale ice cream , juice, bubble tea, yogurt and so on,this kiosk with counter, wooden cabinet, artificial stone, stainless steel skirting, acrylic Logo, light box with your menu, this kiosk mainly color is green, white, orange, all of anything about this kiosk can customized for you. will be better for us. Step 2: Let me know,the main color of kiosk store you want,or you can send me many pictures which could showing what color you want. 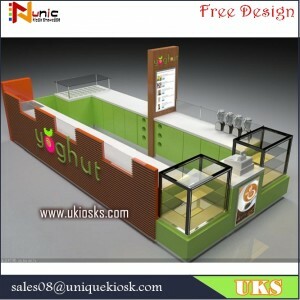 such display showcase,cabinet,kiosk,counter ,and so on we building. Step 4 : After we received your design payment,our designers will make desgn with the software named 3dmax,AutoCAD . Step 6 :The design will be revised free for 3 times if you request . we have specialized in all kinds of wood kiosks and showcase for many year . we have own factory ,advanced equipments,craftsman,so the quality of our products and competitve price can be guaranteed. We have design team ,so we can accept OEM/ODM projects. Your custom design can be finished in 3-5 days after knowing your detailed requirements.you can also offer us your drawings,we can do kiosk according to it. we have won good repuation from abroad through so many years export experience. Our products mainly include food kiosk,cosmetic display kisok,jewelry display showcase,phone display showcase,sunglass display kiosk,shoe showcase,exhibition kiosk,etc. our products are mainly sold to Europe,America,Australia,Asia and other countries. Thanks for your time and looking forward to your inquiry, warm welcome visit our factory. Follow us you will get more lasted kiosk design and best kiosk price ! 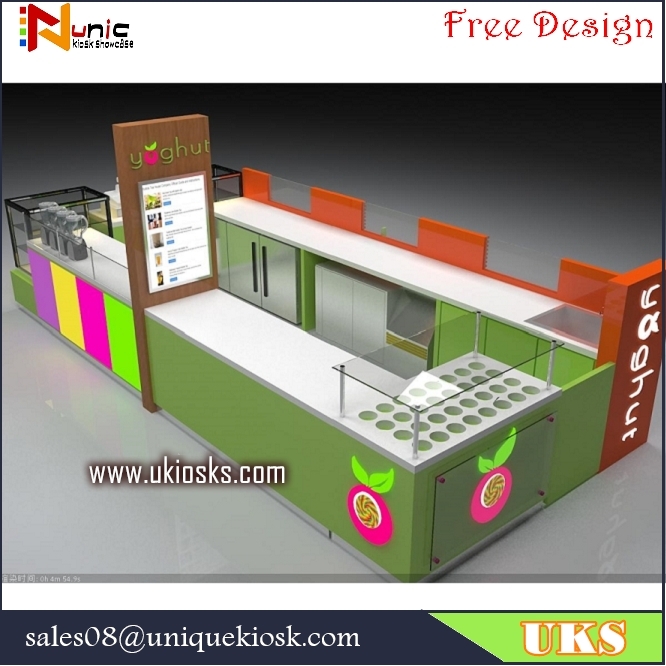 UKS provide design-manufacture-shipping -installation one stop solution of all kinds of food kiosks and beverage stations.